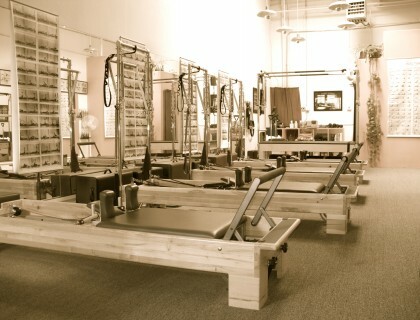 aware pilates is a professionally staffed studio and gym in Santa Fe, NM specializing in personal and group instruction. aware pilates is a professionally staffed studio and gym in Santa Fe, NM specializing in individual and group teaching of the Pilates Method. No matter what your age or fitness level, it is never too late to get into shape and improve your quality of life. 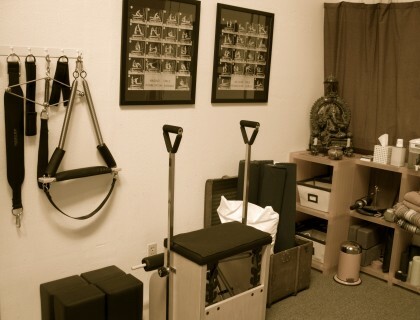 The studio features exclusively Balanced Body equipment and is set-up to accommodate up to four clients at one time in a comfortable studio environment. The studio is equipped with a full Trapeze Table (Cadillac), three Reformer/Half Trapeze Combos, a Legacy Reformer, four Wunda Chairs and a Combo Chair, four half Barrels, mats and various auxiliary equipment. The over eight hundred square feet studio features sixteen feet ceilings with a skylight, fifty feet of mirrors and even an inviting green room. Since I want to make sure that you will be able to breath deeply and with ease as you exercise I have installed a five-filter air purifier that not only cleans the air and neutralizes any odors, but also features a special filter to discard of most germs and bacteria. 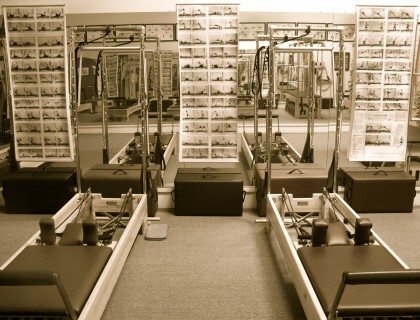 Even the Pilates mats are environmentally friendly and free of latex, PVC, phthalates and chloride. Furthermore all the reformers are made of Strata Artisan Maple, which uses most of the tree to be more eco friendly and therefore shows of more character and grain. All paper products, whether in the bathroom or in the office are made from 100% recycled paper and soap and lotion are completely organic. The drinking water is purified through a “Zero Water” filter system and organic teas are available in the green room. In 1995, following a motorcycle accident in which I sustained various injuries including three broken ribs, a broken collarbone and a dislocated thumb, I was unable to follow my regular exercise program of lifting weights and riding my mountain bicycle. A friend of mine mentioned to me that after my ribs had healed I should try Pilates. At the time I had never heard of Pilates and since I was not able to either lift weights or go cycling, I figured why not try something new and different. After just a few sessions I already felt the incredible benefits from Pilates and loved it. The body-mind-spirit connection felt very familiar to my Tai Chi practice of many years and I started to feel results very quickly. It helped tremendously with my flexibility and the strengthening of my core as well as my balance. In 1998 I started to race off-road motorcycles, something that I had wanted to do since I was nine years old, but never had the means to. I started out in desert racing and then in 2001 added Motocross as well. I could definitely feel how much my Pilates training was helping me by providing me with better balance, separation and overall strength and flexibility. 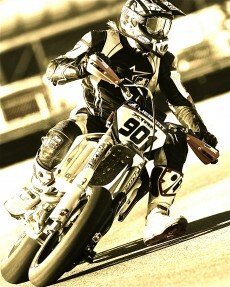 By 2004 I had won two Motocross championships and I turned my attention to Supermoto, a mix of road racing and Motocross. I was able to win the New Mexico State Open Expert Championship in 2007 and in 2008 I fulfilled my dream and goal to turn Pro and to finish out my racing career racing with the top pro riders of the world in the AMA Pro Nationals. After many years of studying Pilates I decided to become a teacher in the Pilates Method. I went through a vigorous certification program and started teaching at a couple of local studios. In 2009 I decided it was time to retire from racing and focus my attention on creating my own top-notch quality Pilates studio. Seeing the results that I am able to achieve with Pilates, my goal is to help others to progress and succeed in their discipline and/or life by training them correctly in the Pilates method. 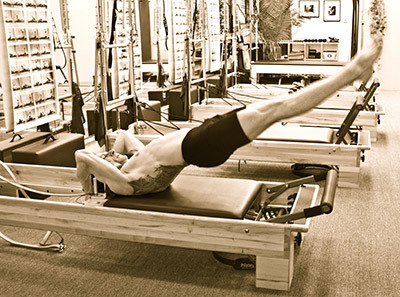 I have seen great results for runners, golfers, cyclists, equestrians, motorcycle racers and no matter what sports clients are engaged in, the Pilates Method always seems to propel them to the next level in their discipline. At the same time I take great pride in accelerating my clients recovery from knee or hip joint replacements to enable them to get back to their normal activities. I continue my education in anatomy, movement and rehabilitation and just recently have become a registered Yoga teacher to expand my knowledge to help and guide my clients to a healthier and more fun and full life. switch between the available options as needed. Passes can not be frozen. or payment is due in full. The studio does not accept Credit or Debit Cards. Cash and Check only. Correct change appreciated. Please contact the studio in regards to any questions you may have. Pilates is a Mind-Body-Spirit whole body exercise system that focuses on integration and strengthening of the core. Pilates exercises are designed to correct and improve separation, sequencing, timing and efficiency of every movement in a mindful, present and controlled matter. By learning to use the body correctly one will achieve a balanced body that will optimize one’s posture in the process. Pilates is meant to work in conjunction with any other activity or sport and was designed primarily as an exercise system. As such a certain flexibility and strength is required. However a big part of Pilates is the ability to function as physical rehabilitation and is an incredible tool to help with rebuilding after an injury or surgery. 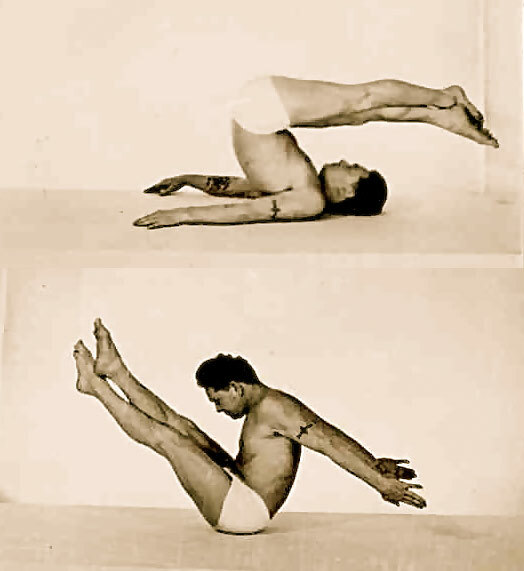 Joseph Pilates was a pugilist, a boxer and a wrestler, he even had a circus act with his brother at one point. He trained the Nürnberger Polizei (Police) in Germany and was even asked to train the “New” German military, which he declined. The now called Pilates Method, as Mr. Pilates called his exercise regimen “Contrology”, is a very athletic and even acrobatic exercise program that takes heavy cues from Yoga and martial arts, which Mr. Pilates studied as well. 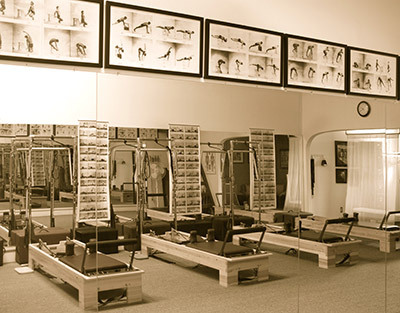 The aware pilates studio is located at 825-D Early St. less than a mile and a mere two minutes from downtown Santa Fe. It is next to the Aikido Arts Center and there is always ample parking available. It is easily accessible from either Cerrillios Road or from Cordova Road. Our contact information is below, or you may use the form on this page to reach us.